We know about moving materials. 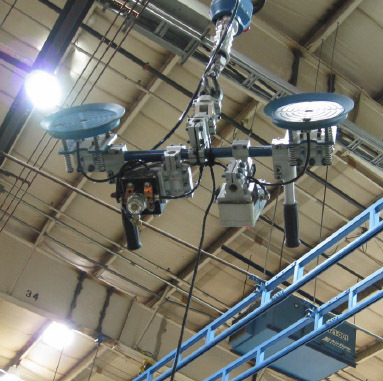 We design systems that act like extensions of the operator - a combination of accurate placement with blazing material handling speeds. Not just smart - essential. Give it, receive it, and live it. 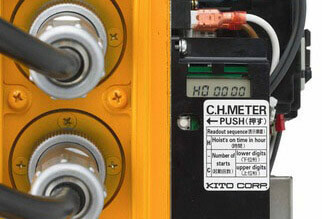 Integrity is the guiding principle of Acculift. 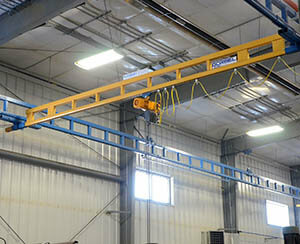 Acculift has been providing dependable service to the manufacturing industry since 1985. 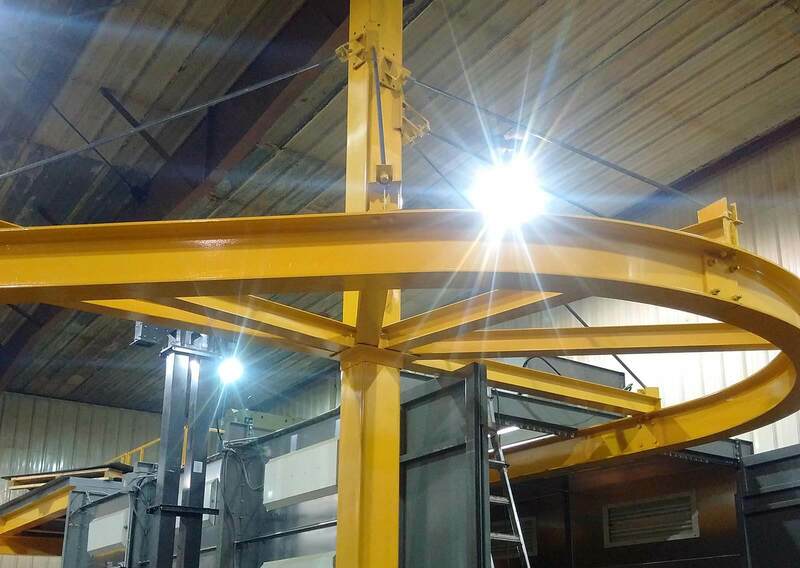 With our expertise in ergonomic lifting systems and overhead cranes, Acculift is dedicated to the results our clients are striving to achieve. 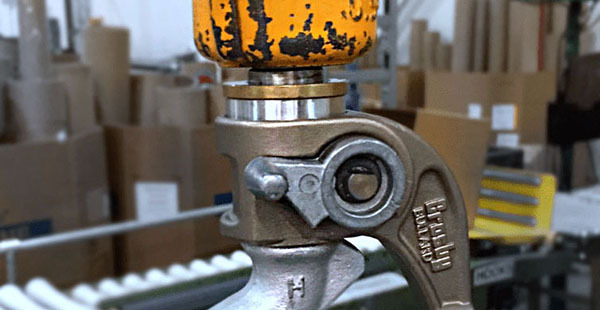 Our team takes the time to understand your unique needs and challenges in order to develop a comprehensive solution that will help create a safe and productive workplace. 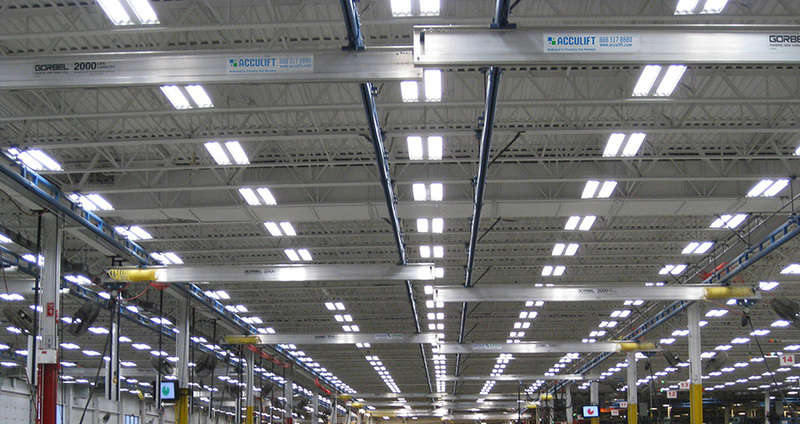 We hold ourselves accountable and are there for our customers from initial project planning through to installation and after-sales support. increase productivity, and grow your business. 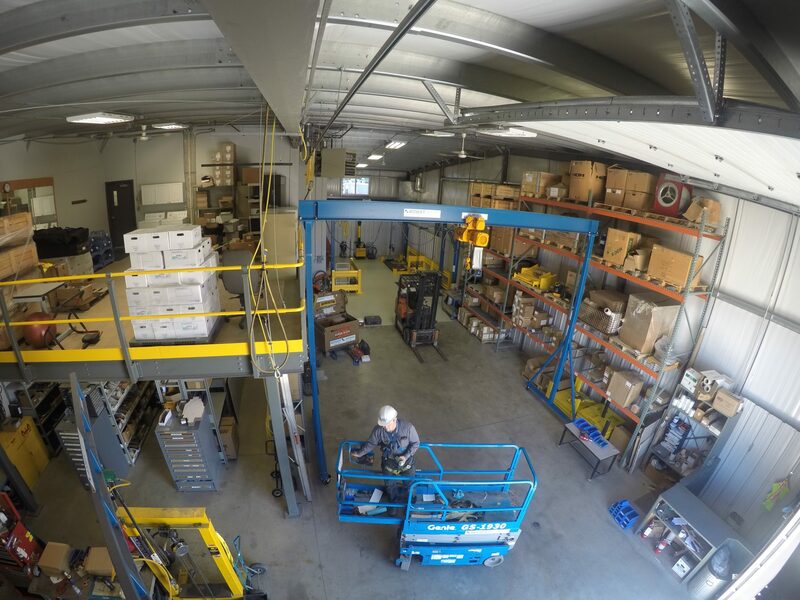 Acculift has grown from a small team distributing industrial tools to the industrious company we are today – yet our values remain the same. We pride ourselves on being an dedicated team that takes what we do and your successes, personally. And to us, that’s what really matters. 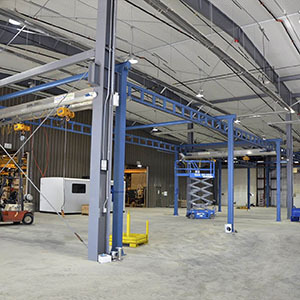 Our team is comprised of industry experts, dedicated service personnel, and an installation crew that is second to none in Western Canada. 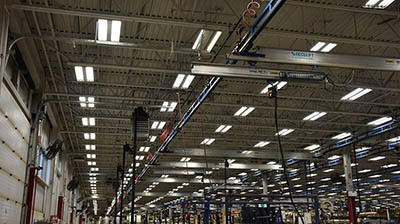 From our office staff to our installers, Acculift is focused on the benefits and value we bring to our clients. 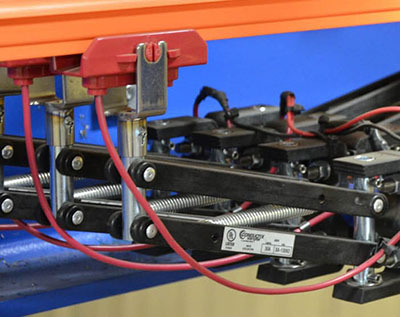 Acculift provides a solution from complete system design through to equipment installation. 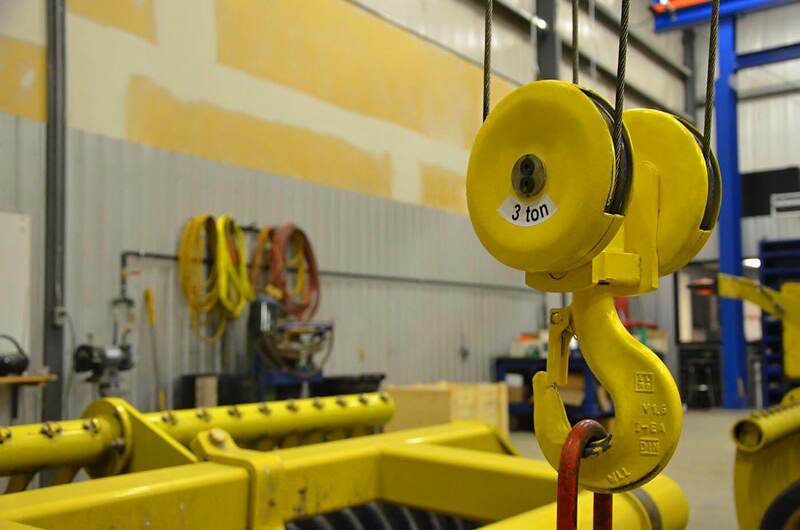 Often, our client’s needs go beyond that, and so do we: Acculift provides servicing, certified inspections, and training on all lifting equipment installs. Our S.I.T.E. 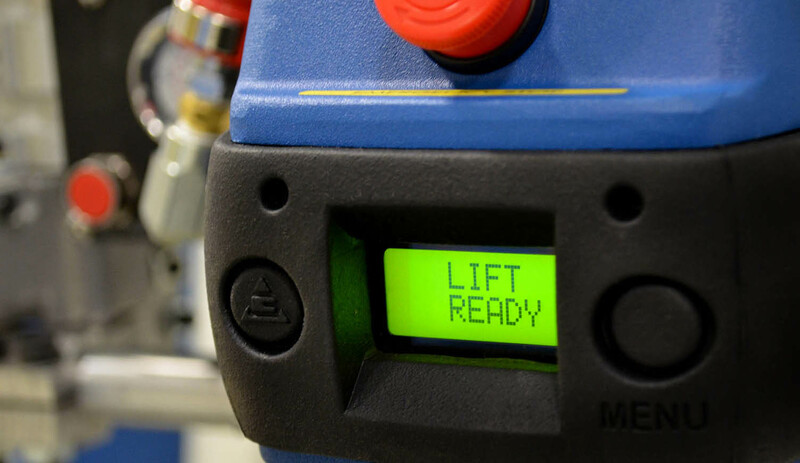 program (Service, Inspection, Training, Equipment) covers you from floor to ceiling, from the beginning to the end, of your Acculift solution. 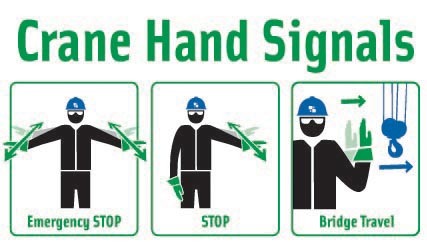 We work together with you to develop solutions that will make your workplace safer and more productive. 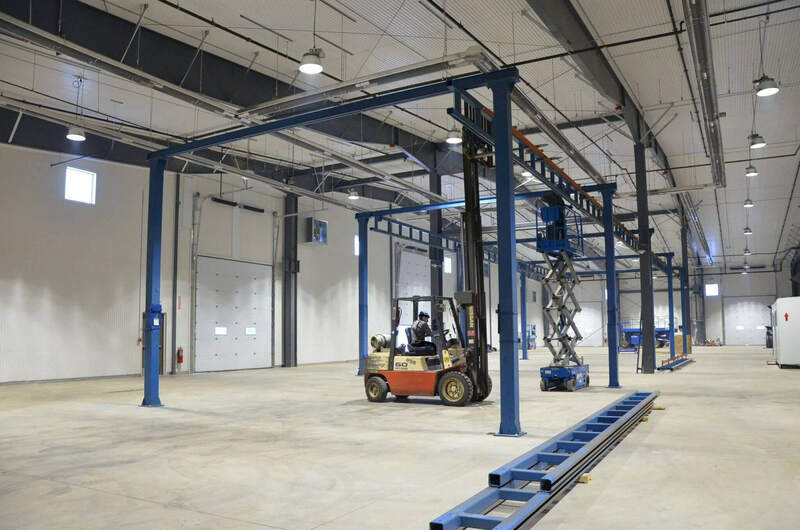 Our specialists assess facilities and ask questions that allow us to gain a better understanding of our client’s needs and goals. From that we can identify the best match between the need and our product offering. 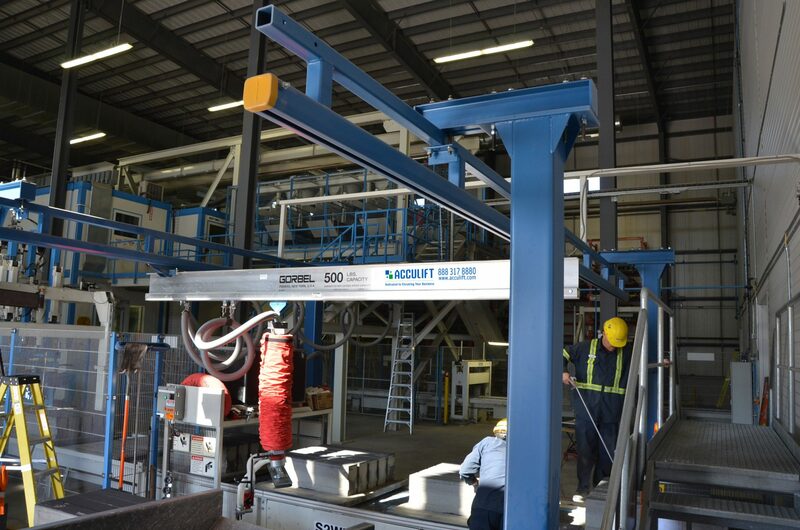 We can then formulate a unique solution, combining a mix of our equipment and services suited to the specific material handling needs of our clients. 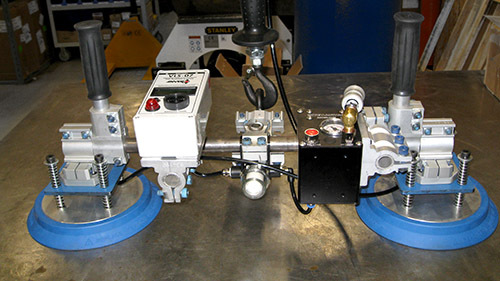 Acculift also provides after-installation support, servicing and inspections. 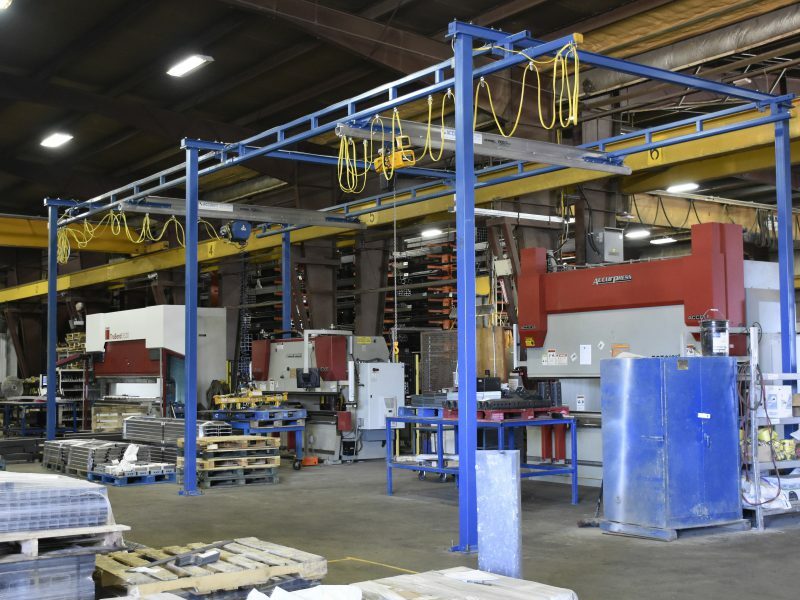 Our solutions encompass overhead crane systems, workstation cranes, bridge cranes, jib cranes, fall safety equipment, and more. 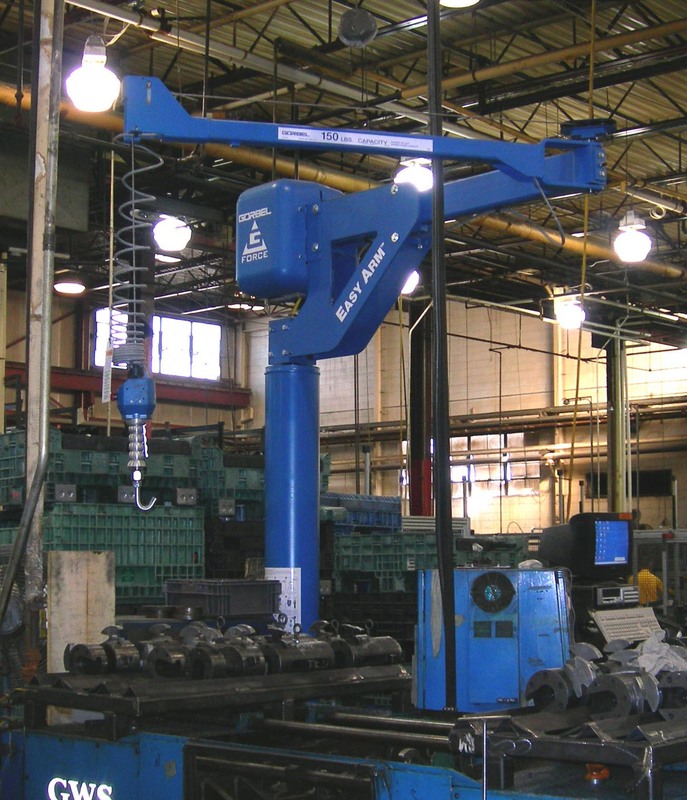 Acculift designs custom ergonomic solutions for your specific application to address your material handling needs. 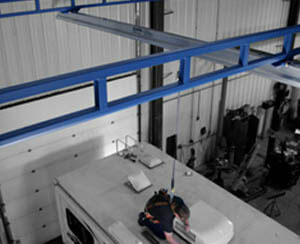 Our installation crews are best-in-class providing quick, hassle-free installations. 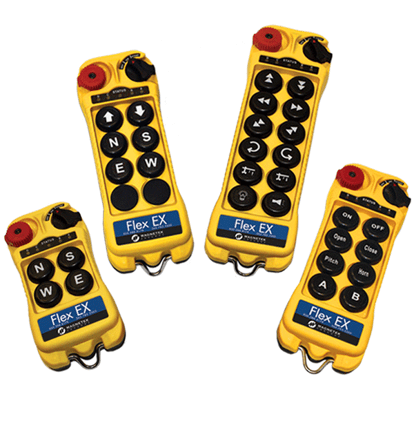 From new installs to moving equipment – we have you covered. 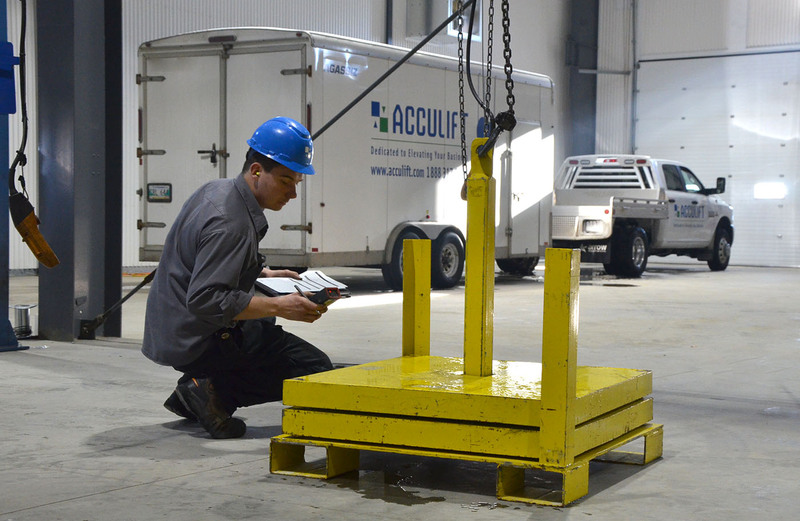 Acculift is serious about a safe and efficient workplace. 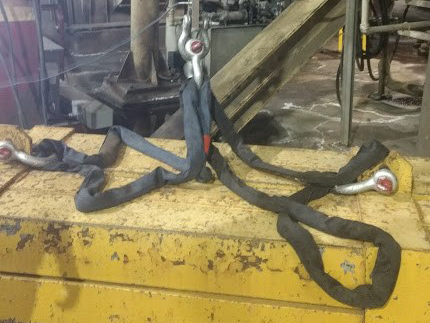 Acculift will analyse, design, and install a fall arrest system for your worksites that will prevent injuries, minimize downtime, and possibly save lives. 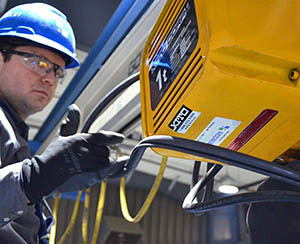 Using equipment safely and equipment to stay safe are top priorities at Acculift. 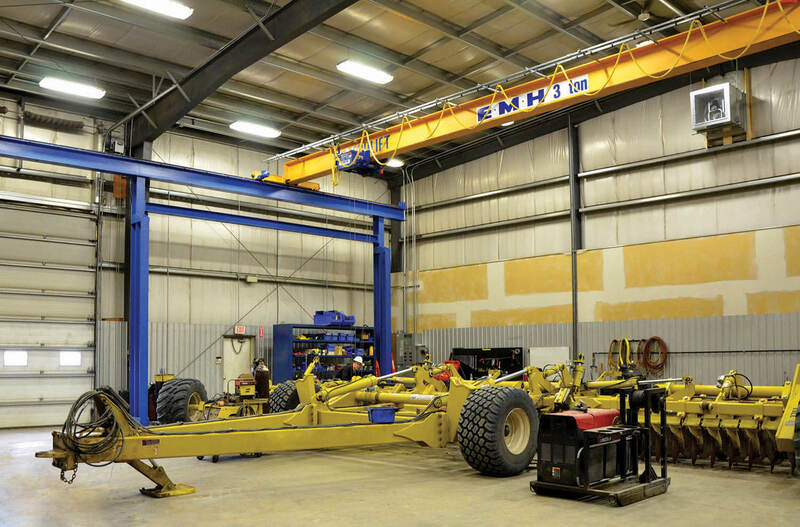 Our certified crane inspectors will come to your site to perform the required yearly inspections on your crane equipment and determine the best course of action to keep your equipment in optimal condition. 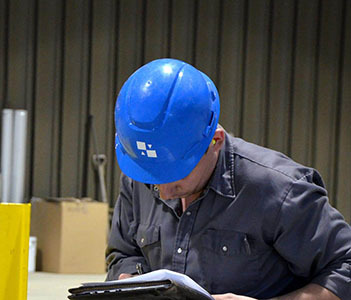 Inspections are your best bet against costly equipment downtime. 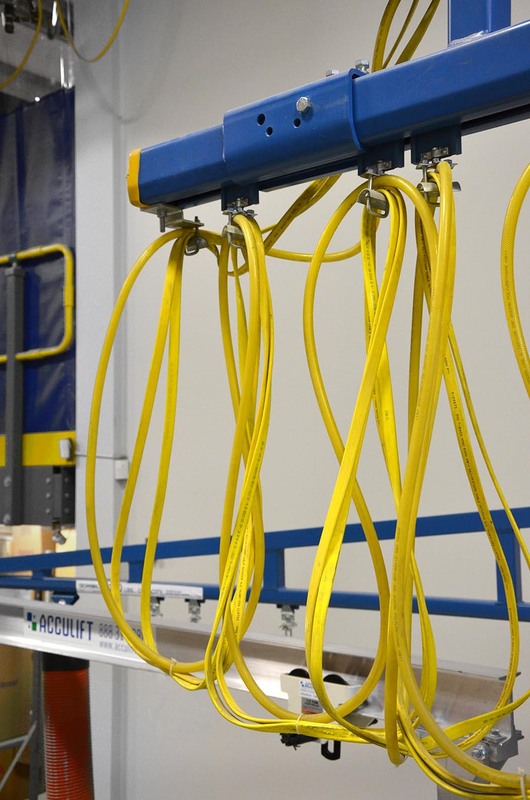 "The beauty of working with Acculift is that we had no downtime. 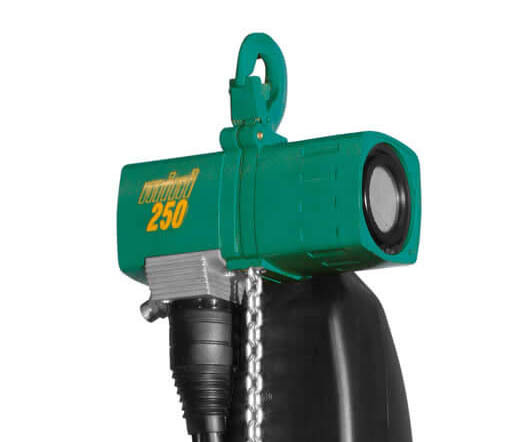 When we had questions or wanted certain features explained or the benefit of them we found the Acculift sales team very, very professional." 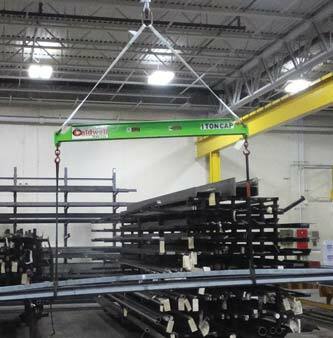 "They have become a key supplier to Degelman and I look forward to working with them in the future." "There is nothing better than all our G-Force units. 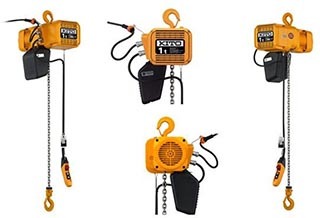 Easy to use and no lifting." 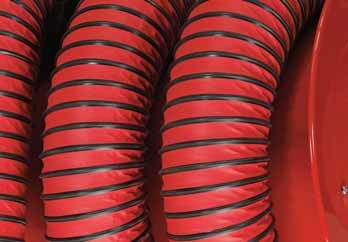 "We are very happy with their service and I would have no issues recommending them to anyone." 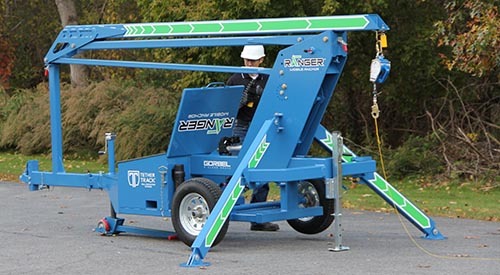 "Fast, safe, and professional. 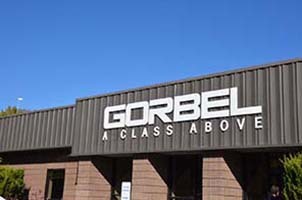 Employees were personable and were well trained." 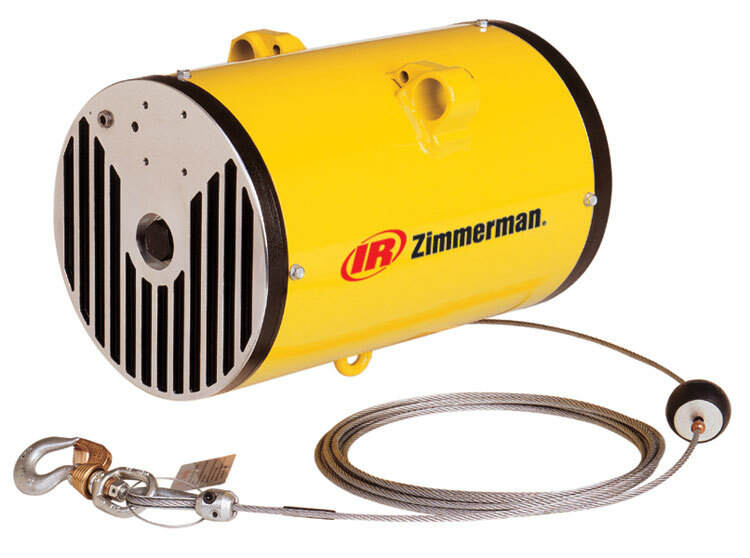 "The staff was very helpful and I got exactly what I needed ASAP." 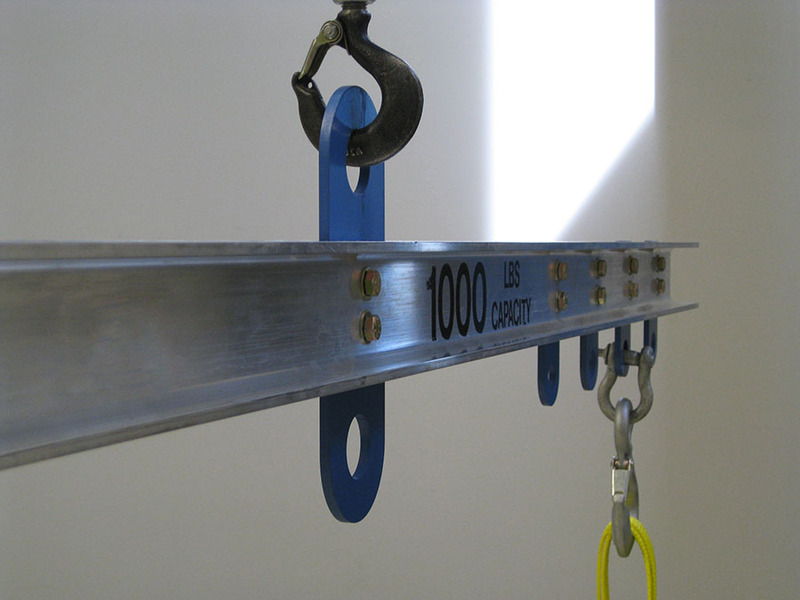 "Great at explaining how the solution would work and helping us complete the task safely. And we didn't have to wait long for a quote!" 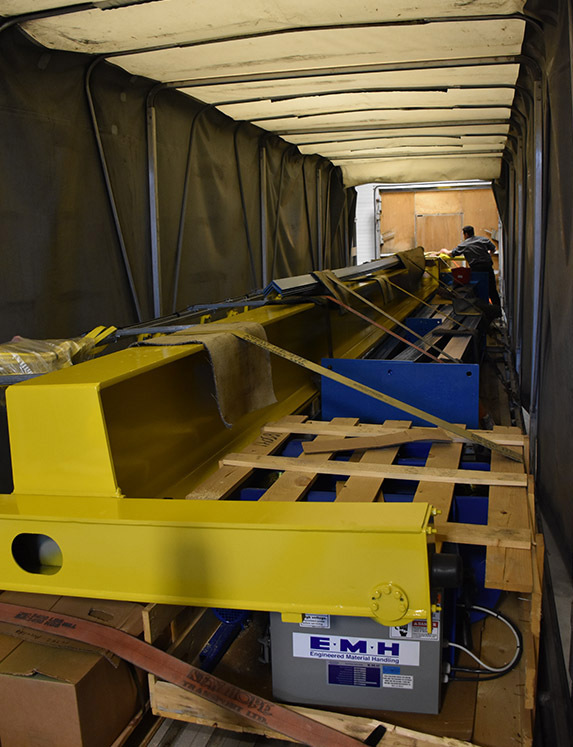 Very easy to deal with, great product line, and Knowledgeable staff helped us overcome some of our more challenging material handling problems. 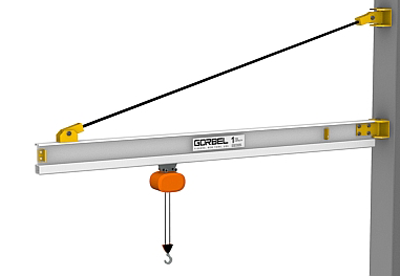 "The representative and the service we received from Acculift is admirable and we highly recommend the product and the company." "Friendly customer service and completed a quality job in a timely fashion." 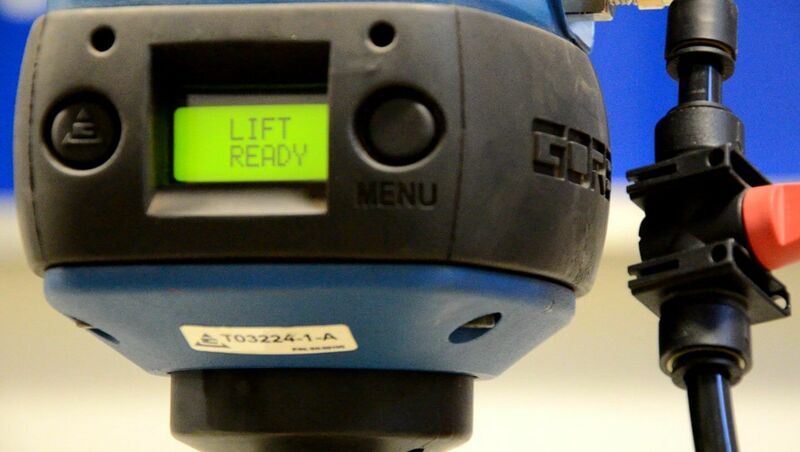 "Acculift has been absolutely fantastic. 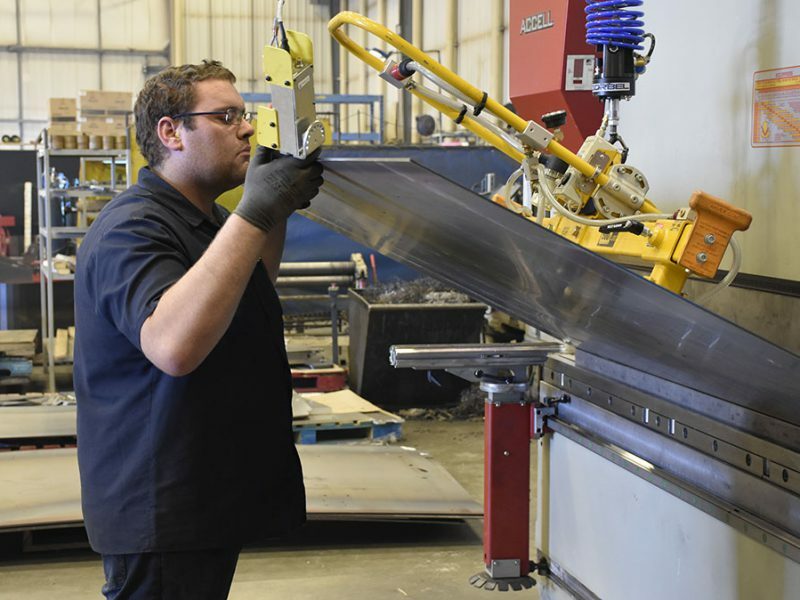 We dropped in on them and within a week we had a plan in place." "Good quality products with outstanding service." 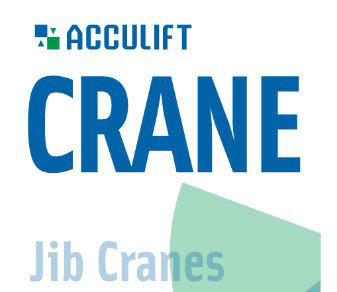 After dealing with other crane suppliers Acculift feels more like a partner to our crane solutions. 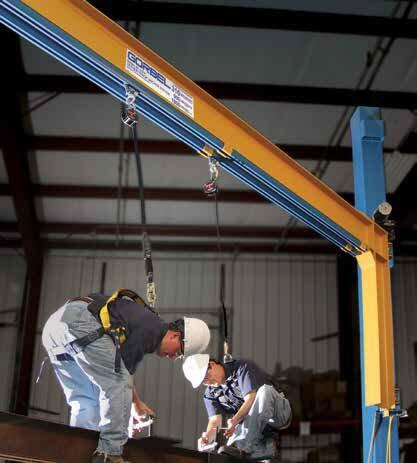 They work with us to find the best lifting solutions for us not for them. They put our needs over thier profits every time. 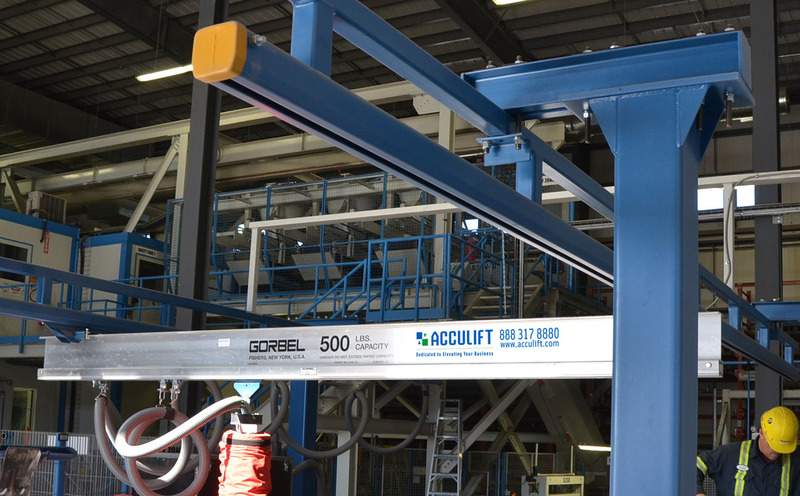 We are no longer just buying lifting equipment from someone - we have Acculift working with us to find the best affordable solution for each job/department. "Not very often do I run into this level of professionalism. From my side, thank you all for a job well done." "Came highly recommended to me about 10 years ago and have never disappointed."